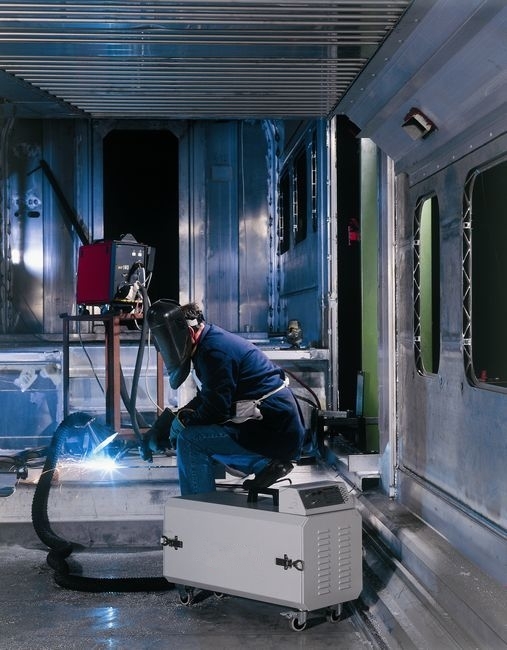 Welding Fume Extraction is required for safe and effiecient fabrication and cutting processes. This includes MIG, TIG, Arc, Robot Cells, Aluminium, Chrome , Iron, Nickel Alloys, Galvanised and Stainless Steel. Below are a small number of options for protection and extraction of these harmful fumes which cause health problems and negatively affect production. To arrange a free no obligation quotation click here to contact us via E-Mail or call 01709 555501!